It will soon take longer to get an employment-based green card, thanks to a new policy announced by U.S. Citizenship and Immigration Services on Monday that requires applicants to have an in-person interview to be cleared. Adding the extra hurdle will draw out an already slow process that employers and applicants have long complained about. Why it matters: Usually, green-card applicants who are sponsored by an employer as part of a work visa — especially those on high-skilled work visas — are able to get the interview waived, helping to speed up the vetting process. That process (without an interview) already takes nearly a year, according to USCIS data. 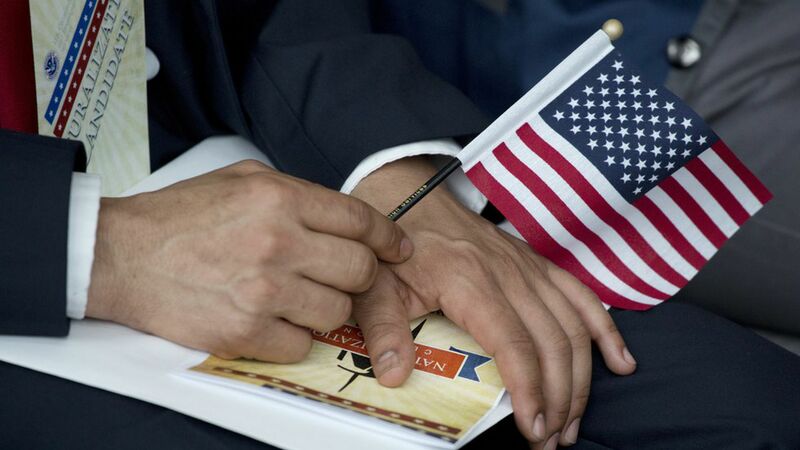 The move is part of the Trump administration's interest in "strengthening the integrity of our nation's immigration system" by creating more robust vetting procedures, Acting USCIS Director James McCament said in a statement. High-skilled frustration: The added hurdle for green cards will likely frustrate companies like tech firms that say they need workers with specialized skills from abroad to meet their labor needs. Tech firms argue they wouldn't have to rely on H-1B visas (which the Trump administration would like to restrict) if the process for employment-based green cards wasn't so arduous. As of Oct.1, the process will take more time.